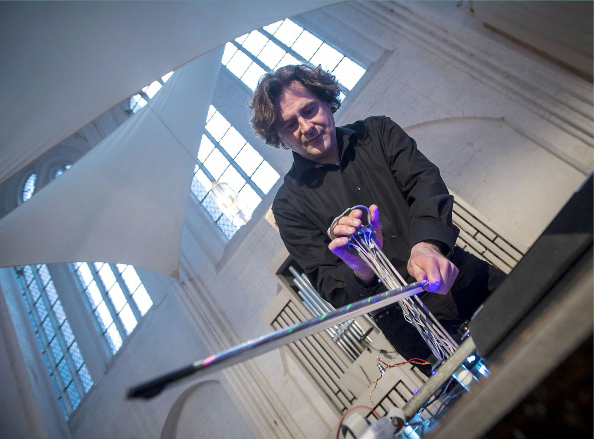 Since childhood, composer/performer Franz Danksagmüller has been fascinated with the rich, interesting sound palette one can create from broken, discarded and so-called unplayable instruments. In 2013, on a visit to a local junkyard, he noticed a strange metal object that immediately captured his attention. 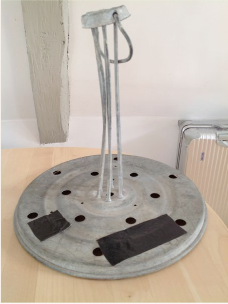 Read the story of how he added contact mics and sensors and developed a bowing technique to transform this strange object (which he later discovered was part of a device for food preservation) into a new musical instrument that sends both audio and MIDI control data to Kyma. You can hear this mysterious and beautiful instrument performed live at KISS2016, when Danksagmüller and composer/performer/computer scientist John Mantegna perform their new piece — The Artificial Brain!